NATO is reporting the death of an ISAF soldier from an IED blast in an undisclosed location in southern Afghanistan on Wednesday, November 30th. #1: A senior official in the oil ministry was seriously wounded when men armed with silenced weapons opened fire on his car in Baghdad's west-central district of Mansour, police and hospital sources said. #1: Two women were among five people killed in an attack on the home of a Muslim cleric in the central Iraqi city of Samarra, police said Wednesday, pointing the finger at loyalists of Al Qaeda. ‘Five people, two of them women, were killed around 10 pm (1900 GMT) on Tuesday,’ a Samarra police commander said. ‘Armed men attacked the home of Shaikh Khalid Al Naisani, killing him, his wife, their 17-year-old son and two other people who were at his house,’ the commander said. #1: One of the cadres of northern Iraq's Patriotic Union of Kurdistan (PUK) has been killed in a sticking bomb that blew up under his car south of the city of Kirkuk on Wednesday, a Kirkuk Province's Police source reported. "An explosive charge, stuck under a car, belonging to a PUK cadre in Kirkuk, blew off in Kirkuk's Military district on Wednesday, killing him on the spot and causing severe damage for his car," the Police source told Aswat al-Iraq news agency, giving no further details. #1: At least four people were wounded when a roadside bomb exploded near an Iraqi army checkpoint in western Mosul, 390 km (240 miles) north of Baghdad, police said. #2: The source told Aswat al-Iraq that a cop was killed and two injured in bomb blast against their patrol, 70 km south of Mosul city. #3: On the other hand, an Iraqi soldier was wounded when he was shot, west of Mosul. #1: Officials in the ministry of interior affairs of Afghanistan following a statement on Wednesday said, at least three Taliban militants were killed following a joint military operations by Afghan and NATO-led International Security Assistance Force across the country during the past 24 hours. The statement further added, the operations were conducted in southern Kandahar, Eastern Khost and Western Herat province by Afghan and coalition forces. The officials also said, at least 3 Taliban militants were killed and three others were injured while 14 militants were detained by Afghan and coalition forces during the operations. #2: A bomb blast that ripped through a funeral prayer of a local tribesman in South Waziristan Agency bordering Afghanistan killed two and wounded another three, said official sources. A large number of tribesmen were offering the funeral prayer of a local tribesman on Shakai road in the agency when a remote-controlled bomb exploded with a big bang, killing two and injuring three others. #3: A would-be suicide bomber was killed near Kuchlak, in the suburbs of Quetta, on Tuesday when an explosive that he was carrying detonated prematurely. “The bomber had hired a cab and wanted to go to Chaman (a bordering town with Afghanistan) with the intention of targeting someone, but the explosives he had fixed to his body prematurely went off,” SP Malik Arshid told reporters, while confirming that the man was a suicide bomber. #4: Five people, including two policemen, were killed and 17 wounded when a suicide bomber blew himself up near a police patrol in the northwestern city of Bannu, police said. Bannu is close to North Waziristan, a major sanctuary for al Qaeda and Taliban militants on the Afghan border. #1: A roadside bomb exploded near a police patrol and wounded four people, including three policemen, in Baghdad's northern Shaab district, police and hospital sources said. #2: Two civilians were killed and four wounded in a sticky bomb blast planted inside a private car to the west of Baghdad, security sources said today. The source told Aswat al-Iraq that the bomb exploded in Mansour area, close to the Baghdad International Fair, which led to the casualties. #3: Media sources at the Iraqi parliament announced today that an explosion hit the entrance of the parliament , with possibility of several casualties, at the end of Mayer of Baghdad questioning session. Different opinions on the explosion, some said it was a bombed car, while others reported that it was a mortar shell fell in the garage. Kurdish Alliance spokesman was gravely wounded in his leg, in addition to a Peshmerga guard. 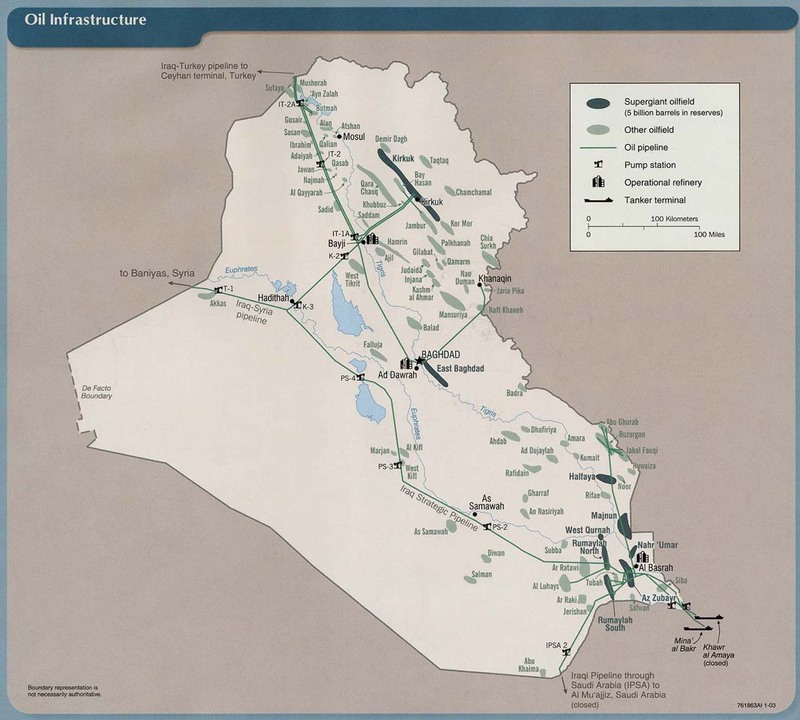 #4: "A group of unknown armed men have opened fire from guns, fixed with silencers, on a Director-General in Iraqi Oil Ministry, close to the Hunting Club in west Baghdad's al-Mansour district, causing him several injuries," the security source told Aswat al-Iraq news agency. #1: A sticky bomb attached to the car of a local leader of the government-backed Sahwa militia exploded, seriously wounding him, in the town of Mahmudiya, about 30 km (20 miles) south of Baghdad, police said. 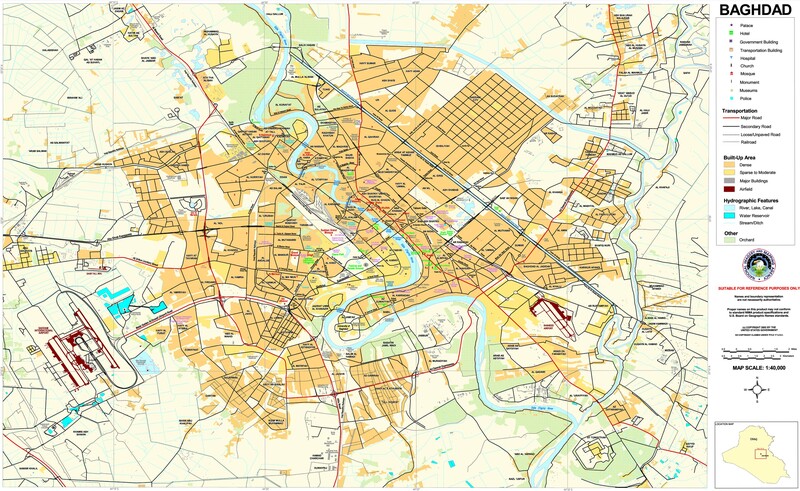 #2: In southern Baghdad's Mahmoudiya area, the security source reported that "an explosive charge blew off close to a filling station on the main road passing through the township, wounding 5 persons, who were driven to a nearby hospital for treatment. #1: A parked truck bomb went off near an Iraqi army patrol and wounded three people, including two soldiers, in the city of Hit, about 130 km (80 miles) west of Baghdad, a local police source said. #1: Gunmen threw hand grenades at a Sahwa militia patrol and wounded five people, including two Sahwa fighters, in Tarmiya, 25 km (15 miles) north of Baghdad, police said. #1: At least one civilian was killed and 15 people wounded, including five policemen, when three roadside bombs exploded late on Monday near a Turkman provincial council member's house in central Kirkuk, 250 km (155 miles) north of Baghdad, police and hospital sources said. #1: A roadside bomb targeting a police patrol killed one policeman and wounded two others in the village of Shura, south of Mosul, 390 km (240 miles) north of Baghdad, a local police source said. #2: Gunmen wounded an off-duty policeman in western Mosul, police said. #1: US-led forces have killed five Afghan civilians in separate attacks in Afghanistan's eastern province of Nangarhar and southern province of Kandahar, Press TV reports. NATO helicopters on Monday fired four rockets into houses in Zhari district of Kandahar, killing three women and injuring two men, said Zalmai Ayoubi, the provincial governor's spokesman, on Tuesday. The Afghan official added that the US-led alliance had confirmed the attack. Three women and two children were killed in the Zhari district of Kandahar, southern Afghanistan, on Sunday during a rocket attack by the International Security Assistance Force, the Zalmai Ayobi, a spokesman for the Kandahar governor, said. ISAF said it could not confirm the deaths but was aware of an incident and was investigating further. #2: In another attack on Tuesday, US-led forces raided a house in Surkh Rod district of the Nangarhar province and killed two brothers. NATO said in a statement that its forces carried out the operation in collaboration with Afghan forces. It claimed that the fatalities were “militants,” although locals have rejected the claim. #3: Security forces backed by NATO-led troops during a night raid in Surkhrod district of Nangarhar province 120 km east of Afghan capital city Kabul eliminated two suspected insurgents and detained two others early Tuesday, spokesman of provincial administration Ahmad Zia Abdulzai said. "The operation conducted in Dand village of Surkhrod district in the wee hours of today during which two suspected insurgents were killed," Abdulzai told Xinhua. The troops also captured two others, he further said, adding investigation would be initiated to determine if the victims were insurgents or civilians. #4: Afghan security forces killed two insurgents in the Nad Ali district of southern Helmand province on Monday, the Helmand governor said in a statement. #5: Insurgents killed a local deputy council in the Jaghato district of Wardak province on Monday, the Wardak governor said in a statement. #6: A roadside mine in Qarabagh district of Ghazni province killed three policemen on Monday, Mohmmad Hassan, a police detective for Ghazni said. #7: An Afghan civilian was killed and three others injured when a bomb went off in Laghman province with Mehtarlam as its capital, 90 km east of capital city of Kabul, police said on Tuesday. "A roadside bomb blasted Monday night in Baba Dashti area in vicinity of provincial capital Mehtarlam, leaving a person walking by dead and injuring three others," deputy to provincial police chief Daud Barakzai told Xinhua. The British MoD is reporting the death of a British ISAF soldier from an IED blast in the Babaji area of the Nahr-e Saraj district, Helmand province, Afghanistan on Sunday, November 27th. Here's the ISAF release. NATO is reporting the death of an ISAF soldier during combat operations in an undisclosed location in southern Afghanistan on Saturday, November 26th. #1: A civilian killed and two wounded in a bomb blast this evening west of Baghdad , police sources said here. The source told Aswat al-Iraq that a bomb exploded on the highway to Abu Ghraib, west Baghdad , which led to the killing of the civilian and wounding two, including a woman. #2: An explosive charge blew against a car, driven by an Iraqi Army officer in northern Baghdad's Abu-Ghuraib district on Sunday, killing on the spot, an security source reported. "The officer, from west Iraq's Falluja township, with a major rank, had been victim of an explosive charge explosion, while leaving west Baghdad's Green Zone, killing and causing damage for his car," the security source told Aswat al-Iraq news. #1: A suicide bomber slammed a car packed with explosives into the gate of a prison north of Baghdad on Monday, killing at least 19 people, Iraqi officials said. The bombing in the town of Taji, about 12 miles (20 kilometers) north of the capital. A police officer said the attacker struck the main gate of al-Hout prison at 8:00 a.m. local time, when many employees and guards were on their way to work. Ten policemen were among the dead and the rest were civilians, he added. At least 22 people were wounded. #1: A roadside bomb blew up and wounded two people in central Tuz Khurmato, 170 km (105 miles) north of Baghdad, police said. #1: A bomb exploded at a location frequently used by police as a temporary security checkpoint, killing a policeman and wounding another, in central Shirqat, 300 km (190 miles) north of Baghdad, police said. #1: The source told Aswat al-Iraq that an Iraqi soldier killed today noon by bomb blast directed against a military patrol in Owainat village, northwest Mosul . #2: On the other hand, the source added that unknown gunmen killed an owner of a small restaurant in mid Mosul. They shot him inside his restaurant and fled away. #1: According to local authorities in southern Afghanistan, at least 10 Taliban militants were killed following a joint military operation in southern Kandahar province. Media Department of 205 Atal Afghan national army commandment following a statement said, the operations were conducted by Afghan and NATO-led international coalition forces in Maiwand district of southern Kandahar province. #2: Insurgents killed two Afghan army soldiers in the Bala Murghab district of western Badghis province on Sunday, Ghulam Nabi, a police detective for Bala Murghab, said. Two men from one family are killed, another injured, in an armed attack. The dead were "an official in interior intelligence" and an engineer. They are said to have recently returned to the area after living elsewhere. Gunmen using silenced weapons kill a civil defense major and his wife. Their daughter is injured. A Kurdistan security officer and his wife are injured in a bomb attack on their house. Reporter for CSM Scott Peterson contemplates the U.S. army driving across the desert to Kuwait. It seems a Col. Scott Efflandt is worried. "What we worry about is a disproportional attack that taints the overall accomplishments." Uh huh. ISAF says one NATO is killed in combat operations in the east, another by a roadside bomb in the south. As usual no further details are given immediately. As trucks once bound for Afghanistan back up at the border, their drivers fear attacks by militants. PTI reporter Rezaul H Laskar conveys the view from Islamabad, where Pakistan Foreign Minister Hina Rabbani Khar has called Secretary Clinton to protest vehemently. She also tells Foreign Minister Ahmet Davutoglu of Turkey that these were "unprovoked and totally unacceptable attacks by NATO/ISAF which demonstrated complete disregard for international law and human life." In breaking news as I write, AP reports that Afghan soldiers called in the air strikes after they were attacked from across the border. I'm sure we'll be hearing a good deal more about this. #1: Hours later, three bombs exploded near the kiosks of vendors selling CDs and military uniforms in central Baghdad, killing three people and wounding eight others. #2: Director General of Cultural Affairs at the Ministry of Culture escaped death by an assassination attempt, a ministry spokesman said here today. The spokesman told Aswat al-Iraq that Nawfal abu-Righeef escaped death from the assassination attempt in Abu Nuwas street by guns equipped with silencers. He was not hurt, but one of his body guards was wounded. #3: An Iraqi traffic police officer has been injured and his daughter was killed in an armed attack by unknown gunmen south of Baghdad on Friday night, a police source reported on Saturday. "A group of unknown gunmen have opened fire from guns, fixed with silencers, against Traffic Police Colonel, Mohammed Hani, who was driving his car with his family in southern Baghdad's Daura district, wounding him and killing his daughter, whilst the armed men escaped to an unknown desination," the police source told Aswat al-Iraq news agency. #1: The first two bombs were planted in the early morning in a spot where day laborers gather in the mostly Sunni village of al-Zaidan, near the town of Abu Ghraib west of Baghdad. They killed seven people and wounded 11 others, the officials said. Six people were killed and eight wounded when a roadside bomb exploded and hit a small truck carrying workers in the western outskirts of Baghdad on Saturday, police and medical sources said. "It was a roadside bomb that went off near a pick-up carrying construction workers in Zobaa village west of Abu Ghraib," said a police source who asked not to be named. A medical source at the nearby hospital in Falluja said they had received six dead bodies and eight wounded. #2: Gunmen wearing Iraqi army uniforms kidnapped a policeman and his son in front of their house near the town of Qaim, 300 km (185 miles) west of Baghdad, local police said. #3: Security sources reported today that an armed group attacked a military check point south of Fallouja city. The source told Aswat al-Iraq that the attack resulted in killing one soldier and wounding three in Amiriya area, 21 km south of Fallouja. #1: NATO helicopters attacked a military checkpoint in northwest Pakistan on Saturday, killing up to 28 troops and prompting Pakistan to shut the vital supply route for NATO troops fighting in Afghanistan, Pakistani officials said. Two military officials said that up to 28 troops had been killed and 11 wounded in the attack on the Salala checkpoint, about 2.5 km (1.5 miles) from the Afghan border. The attack took place around 2 am (2100 GMT) in the Baizai area of Mohmand, where Pakistani troops are fighting Taliban militants. #2: A car bomb exploded near a convoy of troops from the NATO-led International Security Assistance Force on Friday in Lashkar Gah, southern Helmand province, ISAF said in a statement. No casualties were reported and the targeted vehicle remained roadworthy, the statement added. #3: Afghan and foreign troops killed 13 insurgents during joint operations in areas near the capital Kabul, southern Helmand and Uruzgan provinces and western Herat province in the last 24 hours, the interior ministry said in a statement. #4: Gunmen killed two Afghan police officers in Gereshk district of Helmand province on Friday, said Shadi Khan, the district police chief. #5: Two missiles fired by a U.S. drone aircraft struck a vehicle near Miranshah, the main town of Pakistan's North Waziristan region on the Afghan border, killing at least three militants, intelligence officials in the region said. There was no independent confirmation of the incident, and militant groups often dispute official death tolls. CIA marks death of spy with a rare request - a total of 23 stars have been added to the wall at the CIA's Langley, Va., headquarters that honors CIA operatives lost. Up to 763 contractors to train Iraqi forces: US - A maximum of 763 civilian contractors and 157 US military personnel will train Iraqi security forces post-2011, if the Iraqi government gives its approval, a US officer said on Wednesday. #1: Gunmen using silenced weapons killed a village mayor at a market in Jalawla, 115 km (70 miles) northeast of Baghdad, a source in the Baquba security operations centre said. #1: Three bombs went off at the house of a member of the government-backed Sunni Sahwa militia in the village of Bahbahan, near the city of Mussayab, about 60 km (40 miles) south of Baghdad, police said. A local police source said no casualties were reported. Another police source said two men were inside the house and were wounded in the explosions. #1: Three bombs exploded Thursday in the south Iraq port city of Basra, killing 19 people including high-ranking army and police officers, and wounding at least 65, security and medical officials said. A roadside bomb and a motor-cycle bomb exploded simultaneously at about 6: 40 p.m. in a market in central Basra, an Interior Ministry official said. Following a common pattern in Iraq, a third roadside bomb went off as people gathered at the scene, according to the official, who put toll at 19 killed and 67 wounded. An army brigade commander and a high-ranking police officer were among the dead, while police and soldiers were also wounded in the blasts, the official said. The toll from yesterday's blast in Basra has reached 50 dead more than 50 wounded, according to security sources. #1: An Iraqi soldier was killed and an officer wounded when clashes erupted between insurgents and an army patrol in Baaj, 375 km (235 miles) northwest of Baghdad, a local police source said. #1: Gunmen opened fire at an Iraqi army checkpoint and killed one soldier in eastern Mosul, 390 km (240 miles) north of Baghdad, a local police source said. #2: Gunmen shot dead a government electricity department worker in the village of Shura, south of Mosul, a local police source said. #1: Gunmen kidnapped an off-duty policeman and his son from their car in northeastern Ramadi, 100 km (60 miles) west of Baghdad, police said. #2: A bomb exploded in a crowded market and wounded five people in Ramadi, police said. #1: Afghan President Hamid Karzai has ordered an investigation into an air attack by NATO forces in southern Afghanistan that killed six children and one adult, his office said on Thursday. NATO forces were chasing five men they had spotted planting homemade roadside bombs in Zhari district of southern Kandahar province, said Zalmai Ayobi, a spokesman for the Kandahar governor. An airstrike killed one of them but four fled into a nearby village, and NATO forces attacked them from the air. Seven civilians including women and children were killed, Ayobi added. Niaz Mohammad Sarhadi, the Zhari district chief, said six of the dead were children, and another two girls were also wounded, according to a statement from Karzai's office. #2: Pakistani troops assaulted militant strongholds in the northwestern tribal region of Kurram on Friday around midnight, killing 35 militants and wounding 10 more, security officials said. Four soldiers were also killed in the firefight, which lasted several hours. Militant sources confirmed the clashes and casualties but disputed the government's death toll. #3: An International Security Assistance Force helicopter made a precautionary landing in eastern Afghanistan Thursday. ISAF is still in the process of assessing the circumstances to determine more facts; however, initial reporting indicates that there was no enemy activity in the area. All crew members have recovered with no reported injuries. The DoD is reporting a new death previously unreported by the military. Cpl. Zachary C. Reiff died in a hospital in Germany on Monday, November 21st. He was wounded in a roadside bombing in Helmand province, Afghanistan on Friday, November 18th. #1: At least 3 persons have been injured in an explosive charge blast against an Army patol in front of the Sunni Waqf (Endowment) Office northwest of Baghdad on Thursday, whilst an attempt to assassinate a traffic police officer failed in northwest Baghdad's Amiriya district and a woman was killed in central Baghdad's Karrada district, all on Thursday morning, a security source reported. #2: In another security incident, a Security source told Aswat al-Iraq news agency said that "a group of unknown gunmen tried to assassinate Major Ali Abdul-Saheb with guns, fixed with silencers, in al-Amal al-Shaabi Street in northwest Baghdad's Amiriya district, who was driven to a nearby hospital for treatment. #3: Meanwhile, west Baghdad had witnessed a group of armed men, disguised behind police uniform, attacked a flat in an apartment building, killing a woman and wounding another woman, followed by robbing all the valuables of their flat. #1: Militants attacked with car bombs and mortars near the police headquarters and government buildings in the town of Hawija, 210 km (130 miles) north of Baghdad, wounding nine people including two soldiers and a policeman, police and hospital sources said. Two suicide car bombers died in the explosions and two insurgents were killed by police when they tried to attack the police headquarters, the sources said. #1: Taliban fighters have attacked a NATO convoy in western Afghanistan, killing at least 10 private security guards and injuring several, officials say. A government spokesman told Al Jazeera that the NATO logistics convoy came under attack in Farah province on Thursday. At least ten vehicles were set on fire. #2: A bomb attack in Pakistan's northwestern Khyber Agency has destroyed one NATO oil tanker carrying fuel for US-led foreign troops in neighboring Afghanistan, Press TV reports. Officials told Press TV that a NATO oil tanker hit a planted explosive device near Michni check post area on Peshawar-Torkham road of Landi Kotal tehsil late Wednesday. The oil tanker was completely damaged. However, no human losses were reported in the attack. #3: A group of Taliban insurgents attacked a security firm in western Farah province on Thursday, killing 12 people of the company and injuring nine others, police said. #1: Three Iraqi civilians have been injured in an ecxplosive charge blast southwest of Bahdad on Tuesday night, a security source reported on Wednesday. "An explosive charge blew off on the main road passing throuh southwest Baghdad's Hay al-Amil district on Tuesday night, wounding 3 civilians, who were driven to hospital, the security source told Aswat al-Iraq news agency. #1: Two gunmen wearing women's clothes stormed a pharmacy and killed the owner late on Tuesday in the city of Samarra, 100 km (60 miles) north of Baghdad, police said. #1: Turkey has bombed the Sulaimaniyah and Arbil provinces of Iraq's autonomous northern Kurdish region, wounding one civilian, Kurdish officials said on Wednesday. "The Turkish aerial bombardment was renewed on Tuesday night and the civilian Ismail Baz Hamed, 20, was wounded during this bombing," said Hassan Abdullah, the mayor of the Qalat Dizah area in Sulaimaniyah. "The bombing caused heavy damage to farms and livestock in Qalat Dizah," he said. An official from Kurdistan region's interior ministry said there were also strikes in Arbil province. "Turkish airplanes bombed many areas... in Arbil on Tuesday night," the official said on condition of anonymity. #1: According to local authorities in southern Afghanistan, at least 14 Taliban militants were killed following clashes with the NATO-led coalition forces in southern Helmand province. Helmand provincial governor office following a statement said, the clashes took place on late Tuesday night. The source further added, the incident took place after a patrol convoy of Afghan and coaliton forces were ambushed by Taliban militants in Zanboli and Mir Mandab area of Greshk district. Provincial governor spokesman Daud Ahmadi in the statement said, Afghan and coalition forces did not suffer any casualties during the incident. #2:" Pro-Taliban militants in Pakistan's northwestern Khyber Agency have destroyed at least two NATO oil tankers carrying fuel for US-led foreign troops in neighboring Afghanistan, Press TV reports. Officials told Press TV that the armed militants opened fire on the two NATO oil tankers in the Charwazgai area of Landi Kotal tehsil of Khyber Agency on late Tuesday. As a result of the shots, both oil tankers were damaged. However, no human loss was reported in the attack. #3: In a militant attack on the police station in the town of Dera Ismail Khan in northwestern Khyber Pakhtunkhwa province, gunmen killed at least two policemen and injured five others, including the chief of the police station. #4: Armed militants also killed a prayer leader of a local mosque in Quetta city in southwestern Pakistan. #5: Three civilians were killed and three others, including a woman and child wounded when their vehicle hit a roadside bomb in eastern Afghanistan on Tuesday, police said. The bomb was planted under a bridge in Alingar district of Laghman province before it ripped through a civilian van, provincial police chief Abdul Rahman Sarjang told AFP. "The van was hit by a roadside bomb on a bridge in Alingar, killing three men and wounding three other people, including a woman and a child," he said. #6: Helicopter gunships attacked militants hideouts in Kurram, a northwestern tribal region on the Afghan border, killing around a dozen militants and wounding 14, local officials said. Four hideouts were destroyed, they said. On Tuesday night, at least 11 militants were killed and six soldiers wounded in clashes the same region. There was no independent confirmation of the death toll. Militants often dispute the government's version of events. NATO is reporting the death of an ISAF soldier from an insurgent attack in an undisclosed location in southern Afghanistan on Monday, November 21st. NATO is also reporting the death of an ISAF soldier from an IED attack in an undisclosed location in southern Afghanistan on Monday, November 21st. China’s news agency Xinhuanet for western audiences has a pictorial on there new stealth fighter plane the J-20. Just in case anyone is interested here’s the link. #1: Four Iraqi army personnel were wounded when a roadside bomb went off near an army patrol in central Baghdad, a police source said. "An explosive charge blew up close to Diwan Restaurant in Central Baghdad's Saadoun Street on Tuesday morning, wounding 2 policemen, 2 Army men, an Army officer and a acivilian," the Security source told Aswat al-Iraq news agency, adding that that the injured persons were driven to a nearby hospital for treatment. #2: An Iraqi soldier was killed and a civilian wounded when a bomb attached to a vehicle went off near a security checkpoint in Baghdad's eastern Sadr City district, police and hospital sources said. #1: The body of a government employee was found in southern Kirkuk, 250 km (155 miles) north of Baghdad, a local police source said. #1: Police shot dead a would-be suicide bomber before he had a chance to detonate his explosive vest at a security checkpoint in western Mosul, 390 km (240 miles) north of Baghdad, a local police source said. #2: Armed men killed an off-duty soldier inside his house in eastern Mosul, 390 km (240 miles) north of Baghdad, a local police source said. #3: A roadside bomb wounded one soldier when it went off in eastern Mosul, police said. #1: At least four Afghan civilians have been killed and three others wounded after their vehicle hit a roadside bomb in eastern Afghanistan, Press TVreports. The incident took place in Alingar district of Laghman province early Tuesday. #2: One policeman was killed when a small bomb exploded outside a girls' school in the northwestern town of Mardan, local police officials said. Three policemen and four bystanders were wounded. #3: The Pakistani army and Frontier Corps shelled militant positions in central Kurram, near the towns of Dogar and Morghan Sunday night, killing 11 militants and wounding 25, a military official said. In the last week, militants had killed five soldiers and wounded 10 more, the official said. In that same time, around 100 militants had been killed. There was no independent confirmation of the attack, and militants often dispute official government accounts. #4: Two Pakistani officers and 20 militants were killed when security forces clashed with militants in the Khadezai area of northwestern Orakzai tribal region, security officials said. Officials added that another 15 militants were killed in the same area by Pakistani gunship helicopters brought in to support ground troops. #5: At least five people including three policemen and two local militiamen were killed in a bomb attack reportedly targeting a convoy carrying Chinese engineers and workers on the way to the work site in the Sui area of Balochistan in southwest Pakistan on Tuesday, reported local Urdu TV channel AJJ, adding no Chinese were killed or injured in the attack. The British MoD is reporting the death of a British ISAF soldier from an IED blast in the Jamal Kowi area of the Nahr-e Saraj district, Helmand province, Afghanistan on Sunday November 20th. Here's the ISAF release. #1: A roadside bomb went off near a police patrol in Baghdad's northern Adhamiya district, wounding four civilians, police and hospital sources said. Two explosive charge blew off in northern Baghdad's Aadamiya district on Monday, wounding 3 civilians, a security source reported. "Two explosive charges blew off under a car of an employee of Iraq's Ministry of Higher Education & Scientific Research in Aadamiya district on Monday, wounding him and his sister, who is a lecturer in Baghdad's Islamic University," the security source told Aswat al-Iraq news agency. 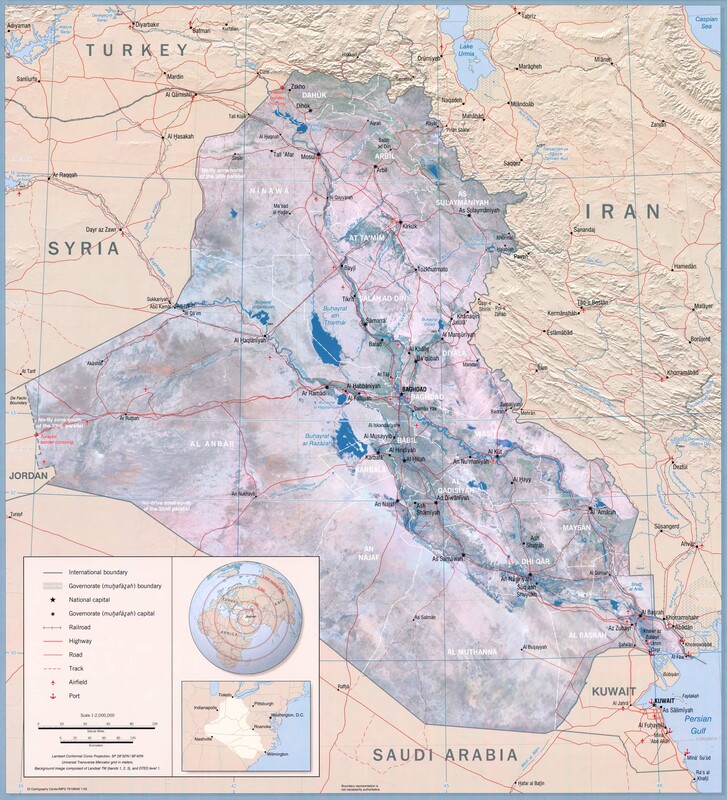 #2: A group of unknown gunmen have opened fire Sunday night on the hosue of an Iraqi media man southwest of Baghdad, causing no human losses, according to the Chairman of the Iraqi Society for Defense of Journalists Rights on Monday. "A group of unknown armed men, using a new car, have opened fire on the house of the Iraqi Media Man, Abdul-Munim Nasser, in southern Baghdad's Baya'a district, while he was at home with his family, and escaped for an unknown destination," Ibrahim al-Sarraji told Aswat al-Iraq news agency. #1: A sticky bomb attached to a car exploded, killing a member of the government-backed Sahwa militia, in a town near the city of Baquba, 65 km (40 miles) northeast of Baghdad, police said. #1: Gunmen in a speeding car killed a member of the Kurdish Asaish security force and wounded another late on Sunday in central Tuz Khurmato, 170 km (105 miles) north of Baghdad, a local police source said. #1: A sticky bomb attached to a civilian's car exploded, wounding the driver and a passenger late on Sunday in northwestern Kirkuk, 250 km (155 miles) north of Baghdad, a local police source said. #2: A bomb attached to a car killed the driver in the city of Kirkuk, police said. A member of Iraq's Human Rights Department in northern Iraq's Kirkuk city has been killed in an explosive charge blast south of the city on Sunday, the city's Police Director reported on Monday. "An explosive charge, stuck to a civilian car in Kirkuk's Celebrations Square, has blown off on Sunday, killing a Human Rights member, Lt-Brigadier Sarhad Saleh told Aswat al-Iraq news agency, pointing out that the security forces began investigation in the incident, but gave no further details. #3: Two Iraqi civilians have been injured in an explosive charge blast in front of a house belonging to a member of the Iraqi Army in Dibbis township, close to northern Iraq's Kirkuk city on Sunday, a security source reported. "An explosive charge blew up on Sunday in central Dibbis township in Kirkuk Province, planted in front of a member of the Iraqi Army, wounding one of his brothers and a passerby, along with causing damage to the house," the security source told Aswat al-Iraq news agency on Monday. #1: Gunmen in a car opened fire on the car of a local office manager for mobile phone operator Asiacell, killing him and wounding another passenger in northern Mosul, 390 km (240 miles) north of Baghdad, a local police source said. #1: Eighteen insurgents have been killed in Afghanistan's Nuristan province in a cleanup operation, an official said Monday. "A joint cleanup operation was launched by Afghan Border Police, Afghan army and NATO-led coalition forces Friday and so far we know 18 insurgents have been killed," provincial governor Tamim Nuristani told Xinhua. #2: In the meantime, officials in the ministry of interior affairs of Afghanistan said, at least five militants were killed and five others were detained in separate operations in southern Helmand and eastern Ghazni province during the past 24 hours. #3: Assailants torched three trucks carrying fuel for U.S. and NATO forces Sunday in Pakistan's southwestern Balochistan province, police said. Police official Nazeer Ahmed said four attackers ambushed the trucks in the Mastung district, just south of Quetta, near the border with Afghanistan. He said no one was injured during the attack, as the drivers escaped before the trucks were set ablaze. #4: At least 14 Pakistani paramilitary troops have been killed in clashes with militants in the country's southwestern Balochistan province, security sources and local media reported on Monday. TV channels reported that the clashes erupted in the Chamalang mountainous area late Sunday night after armed militants attacked the Frontier Corps (FC) troops, which continued until Monday morning. Local TV Ajj reported that 14 soldiers have been killed in the shootout so far. There are no official comments on the casualties. Sources said that 11 FC troops were also injured and the bodies and injured have been evacuated in helicopters. The injured were airlifted to a military hospital in Quetta, the provincial capital. Three women and 1 man are killed in an attack by unknown gunmen. Gun battle at a checkpoint leaves 5 police and 3 insurgent dead. (The story doesn't specify but I believe this occurred late Saturday. A separate attack on a police station leaves 1 officer dead and 3 injured. Iraqi security forces say U.S. forces killed 2 Iraqis after an explosion struck their vehicle. According to the report, the Americans opened fire at random, killing 2 civilians and injuring either 3 or 5. According to AFP, a U.S. military spokesman denies that U.S. forces fired any shots at all. According to Aswat al-Iraq, no Americans were injured in the explosion, but they fired on passing cars, causing the casualties. The Iraqi state news service is also reporting this incident. VP Hashemi notes that the Iraqi budget is based on an assumption of continued high oil prices. Should prices fall, the country will face a fiscal crisis. Loya Jirga approves long-term security pact with the U.S. as proposed by president Karzai. The agreement would have several thousand international troops remain after 2014 as "trainers and advisers." Students in Jalalabad protest against the long-term U.S.-Afghanistan security pact recently approved by the Loya Jirga. Meanwhile, no surprise, the Taliban denounce the Jirga as illegitimate. Four children are killed by an explosion near a playground in Nangarhar. It appears this may have been a mortar shell left over from previous combat, perhaps a long time ago. It is a reminder that Afghanistan has known almost continuous war for decades. NATO is reporting the death of an ISAF soldier from an IED attack in an undisclosed location in southern Afghanistan on Friday, November 18th. NATO is reporting the death of an ISAF soldier from an insurgent attack in an undisclosed location in southern Afghanistan on Friday, November 18th. #1: At least 10 persons have been injured during an attempt to dismantle an explosive charge in east Baghdad's Palestine Street on Saturday, a security source reported. "An explosive charge, planted close to al-Kheima Theatre in east Baghdad's Palestine Street, blew up while an Iraqi Army explosives expert attempted to dismantle it. The blast wounded 8 of his colleagues and 2 civilians," the security source told Aswat al-Iraq news agency. #1: Two Afghan police officers were killed in a clash with foreign troops conducting a night raid southwest of the Afghan capital, Kabul, early on Saturday, police and military officials said, adding to Afghan pressure to stop the raids. Saturday's incident happened when the soldiers, who were involved in a night raid which had not been coordinated with the police, ignored orders to halt when spotted by officers in Ghazni province, said Ghazni police chief Zorawar Zahid. #2: Suspected militants attacked a paramilitary convoy with a remote-controlled bomb in the Jafferabad district of southwestern Baluchistan province, killing two soldiers and wounding three, security officials said. No one claimed responsibility for the attack, but Baluch separatists and Taliban militants have been active in the province and have been blamed for such violence in the past. #3: Militants ambushed a paramilitary patrol in the Bara area of the northwestern Khyber tribal region, killing one soldier, local officials said. One of the main supply routes for NATO forces in Afghanistan goes through Khyber, where Pakistani forces are conducting operations against militants. #1: Two policemen were killed and nine others were injured in three separate bombings in the Iraqi capital Baghdad, security sources said Friday. The back-to-back bombings targeted mosques in the district of Abu Gharib, 20 kilometres west of Baghdad, reported the Iraqi website Al Sumaria News, quoting a security official. #1: Gunmen shot and wounded an off-duty policeman near his house in Hawija, 210 km (130 miles) north of Baghdad, a local police source said. #1: A roadside bomb exploded near the convoy of Police Major Jabbar Rasheed on Thursday, killing him and a civilian in southern Mosul, 390 km (240 miles) north of Baghdad, a local police source said. #2: A parked car bomb targeting an Iraqi army patrol killed a civilian in eastern Mosul on Thursday, a local police source said. #3: A roadside bomb targeting an Iraqi army patrol wounded a soldier in eastern Mosul on Thursday, a local police source said. #4: A roadside bomb targeting an Iraqi police patrol wounded a policeman in western Mosul on Thursday, a local police source said. #5: An attacker threw a hand grenade at an Iraqi police patrol, wounding one policeman, in western Mosul on Thursday, a local police source said. #6: Gunmen shot and wounded a civilian near his house in western Mosul on Thursday, a local police source said. #1: Five civilians killed and three injured from one family in bomb blast around the residence of a cop in Saqlawiya, north of Falluja, security sources said here today. The source told Aswat al-Iraq that an armed group implanted a number of bombs around the house, 22 km north of Falluja city. The explosion resulted in killing five civilians and injuring three from the same family, while the cop himself was not at home. #1: A provincial official says a roadside bomb has killed four children and wounded six in eastern Afghanistan. Ahmad Zia Abdulzia, a spokesman for the governor of eastern Nangarhar province, says the bomb exploded on Friday near a playground in Behsud district. Four children were killed and six more wounded in a mortar blast in Behsud district of Nangarhar province, eastern Afghanistan, on Friday, a spokesman for the Nangarhar provincial governor said in a statement. #2: Sources said on Friday that five militants were killed and several others injured in a clash during search operation in Nala area of the Bara district of Khyber Agency. They added that seven militants were also killed and over a dozen injured when the gunship helicopters shelled in Central Kurram agency. #3: A U.S. drone strike killed eight militants, including foreigners, in the North Waziristan tribal region along the Afghan border, local intelligence officials said. Four militants were also wounded in the attack. #4: At least 22 militants were killed in clashes between Pakistani security forces and Taliban militants in a remote district of the Orakzai tribal region in the northwest, local government officials said. There was no word on casualties from government forces. There was no independent confirmation of militant casualties, and militants often dispute official accounts. #5: Six insurgents were killed and one arrested during three joint operations of the Afghan police, army, National Directorate of Security and coalition forces in Kunar, Nuristan and Uruzgan provinces over the last 24 hours, the Interior Ministry said in a statement. DoD: Spc. James R. Burnett Jr.
NATO is reporting the death of an ISAF soldier from an insurgent attack in an undisclosed location in eastern Afghanistan on Wednesday, November 16th. NATO is reporting the deaths of two more ISAF soldiers from an IED attack in an undisclosed location in southern Afghanistan on Thursday, November 17th. #1: In Baghdad, gunmen using silenced weapons wounded a police officer who was driving his car in Jamia district in the western part of the capital, the source said. #2: A roadside bomb went off near a temporary police checkpoint and wounded six people, including three policemen, in the Saidiya district of southern Baghdad, police said. #1: Iraqi officials say four people have been killed when a car bomb went off next to an Iraqi military patrol south of Baghdad. A police officer says the military patrol was traveling in the town of Mahmoudiya when a parked car bomb exploded near it on Thursday, killing two soldiers and two civilians. He says eight other people were wounded in the attack. A doctor in a nearby hospital confirmed the casualty figures. #1: Police said they found the bodies of a father and his son, shot in the head and chest, in the town of Qaiyara, 290 km (180 miles) north of Baghdad, a day after they were kidnapped from their home. #1: In Salahudin province, a civilian was killed when a sticky bomb attached to his vehicle detonated in the city of Tuz- Khurmato, some 90 km east of the provincial capital city of Tikrit, a source from Salahudin's operations commands told Xinhua on condition of anonymity. A bomb attached to a bulldozer went off and killed the driver in central Tuz Khurmato, 170 km (105 miles) north of Baghdad, a local police source said. #1: A roadside bomb exploded late on Wednesday near an Iraqi police patrol, wounding six people including four policemen, in central Samarra, 100 km (62 miles) north of Baghdad, a source at the Samarra police operations centre said. #1: A bomb left at the window of a local mayor's office went off and wounded him in the southern outskirts of Mosul, 390 km (240 miles) north of Baghdad, police said. #2: A civilian was killed and 13 people were wounded, including two Iraqi soldiers, when a roadside bomb went off near an army patrol in western Mosul, 390 km (240 miles) north of Baghdad, police said. #3: Two roadside bombs went off simultaneously near a police convoy in southern Mosul, killing Major Jabar Rasheed Mwlood, chief of a city police station, the source from Nineveh's operations commands told Xinhua on condition of anonymity. A passer-by was also killed by the blasts, which destroyed a police vehicle, the source said. #1: Insurgents fired two rockets Thursday toward a site where more than 2,000 Afghan elders are attending a national assembly to discuss the future of U.S. military presence in Afghanistan, officials said. Both rockets missed their target, but one man was injured. #2: A bomb strapped to a donkey blew up in northern Afghanistan yesterday, killing a policeman and a civilian and wounding 16 people, officials said. The bomb went off in a market in Ghormach district, Faryab province. Although donkey bombs are rare in Afghanistan, they are occasionally used by insurgents as a way of getting close to targets. A spokesman for the Faryab police chief, Sayed Massoud Yaqubi, said that one policeman and a civilian had died in hospital after the attack. #3: A NATO air strike killed 27 insurgents in eastern Afghanistan on Wednesday after they opened fire on an international military patrol, officials said. The attack came in Nangarhar province, close to the border with Pakistan where insurgents have hideouts and many of the 10-year war's bloodiest battles take place. "Coalition aircraft killed 27 insurgents this morning in the Nazyan district of Nangarhar province," said a spokesman for the NATO-led International Security Force (ISAF) in eastern Afghanistan. "Insurgents attacked a coalition patrol with small arms and RPGs (rocket-propelled grenades). Air weapons teams responded immediately. There were no coalition or Afghan civilian deaths reported." #4: Two rockets fired by suspected separatist militants, targeting a paramilitary post, wounded five civilians in Kohlu district of southwestern Baluchistan province on Wednesday, police said. NATO is reporting the death of an ISAF soldier from an IED attack in an undisclosed location in southern Afghanistan on Wednesday, November 16th. NATO is reporting the deaths of two more ISAF soldiers from an IED attack in an undisclosed location in southern Afghanistan on Wednesday, November 16th. #1: Iraqi officials say two Iranian pilgrims visiting Shiite shrines in Iraq were killed when a bomb went off next to a minibus they were traveling in. Police and medical officials in Baghdad say nine other Iranians were wounded in Wednesday's explosion, as well as eight Iraqis who were nearby. The Iranians were traveling from the northern city of Samarra, which is home to a holy Shiite shrine, to another Shiite shrine in the Kazimiyah neighborhood in Baghdad. 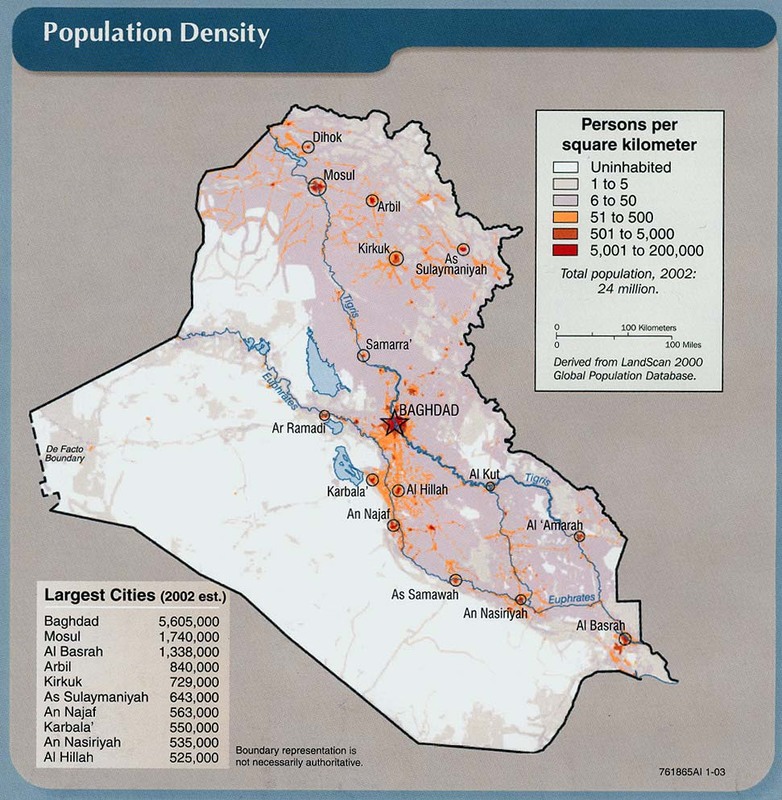 They were about 15 miles (25 kilometers) northwest of Baghdad when the bomb went off. #2: The Secretary-General of the so-called "Iraq's Honest Sons Coalition," Abbas al-Mohammadwi, has been injured in an assassination attempt in northern Baghdad's A'athamiya District on Wednesday, according to the Coalition's statement. "During my drive through A-athamiya District, trying to cross al-A'imma Bridge, heading to west Baghdad's Kazimiya District, a guy, disguised behind a newspaper seller, opened fire on me and escaped in A'athamiya streets," Mohammadawi said in his statement, distributed by his brother, who said his Brother Abbas was shot in one of his shouders and was driven to a hospital for treatment. 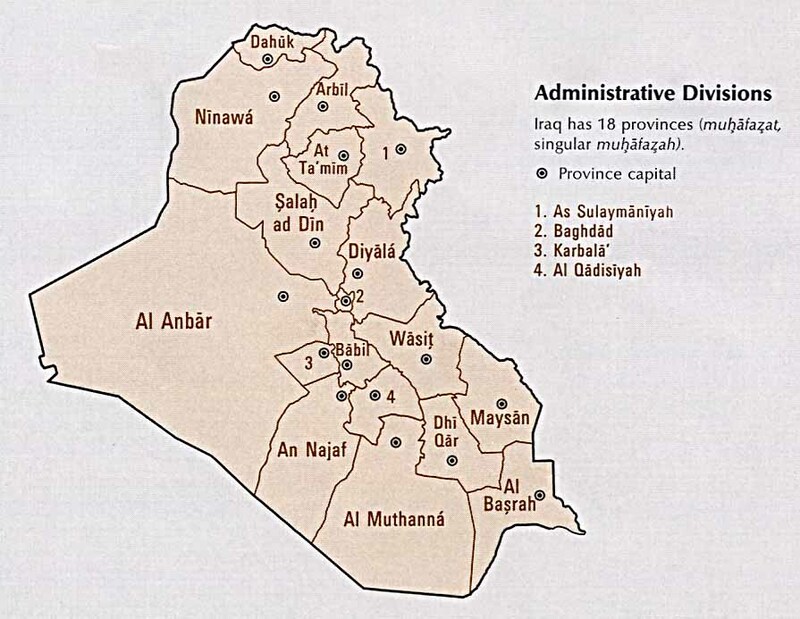 #1: Early on Tuesday morning, gunmen disguised in military uniforms broke into the house of Sheikh Bashar al-Azzawi, a Sunni Arab tribal leader, and shot him dead in Adhim in the eastern province of Diyala, a source from Diyala's operation commands told Xinhua on condition of anonymity. #2: In a separate incident, three civilians were wounded when a roadside bomb exploded in Muqdadiyah, some 100 km northeast of Baghdad, the source said. 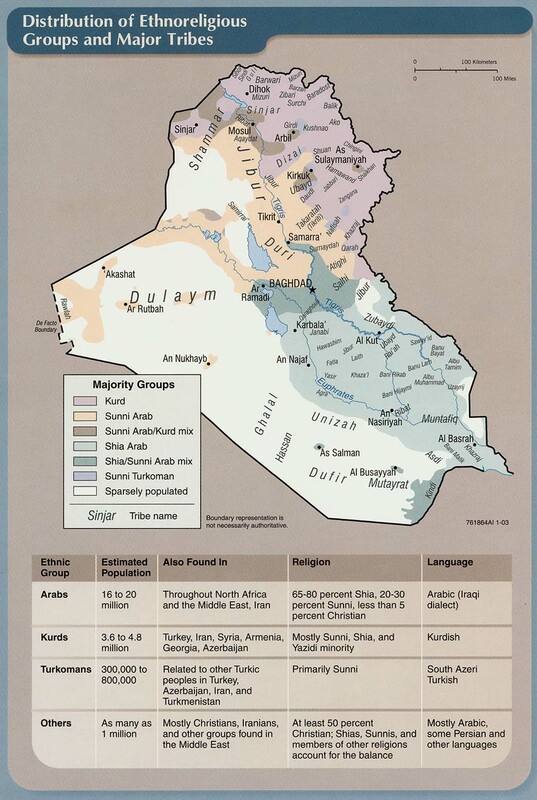 #3: Also in Diyala, gunmen shot and wounded a former member of the local armed group Awakening Council near the provincial capital city of Baquba, some 65 km northeast of Baghdad, the source added. #1: A roadside bomb went off and wounded three civilians late on Tuesday in the town of Rashad, near Kirkuk, 250 km (155 miles) north of Baghdad, police said. #2: Gunmen kidnapped a government employee late on Tuesday near the city of Kirkuk, police said. #1: US drones on Wednesday fired a salvo of missiles, destroying a house and killing 10 militants in Pakistan's Taliban-infested tribal badlands close to the Afghan border, officials said. Four missiles slammed into the compound in the Baber Ghar area of South Waziristan, killing at least 10 militants who were reported to be local Taliban fighters, the Pakistani security officials said. Suspected U.S. drone strikes in Pakistan's tribal region killed 18 alleged militants Tuesday night, intelligence officials told CNN. Two Pakistani intelligence officials said the suspected drones fired two missiles at different sites in South Waziristan. #2: Unidentified gunmen have torched two NATO fuel tankers in the southwestern Pakistani province of Balochistan, Press TV reports. The gunmen attacked the fuel tankers carrying supplies for NATO troops in Afghanistan on Tuesday near the Dasht area of Mastang district of Balochistan, a Press TV correspondent reported. #3: Five armed insurgents were killed and nine arrested after the Afghan police, army, National Directorate of Security and coalition forces launched four joint and independent operations in Khost, Helmand, Ghazni and Zabul provinces, during the past 24 hours, the interior ministry said in a statement. #4: At least two people were injured when a pick-up car carrying local pro-government militiamen was attacked by a bomb in Pakistan's northwest tribal area of Khyber Agency which borders Afghanistan on Wednesday afternoon, reported local Urdu TV channel Express. #5: At least 20 militants were killed in clashes with the security forces in Pakistan's northwest tribal area of Kurram Agency which borders the eastern side of Afghanistan on Wednesday, reported local media. Local Urdu TV channel Duniya quoted anonymous security officials as saying that one troop was also killed and another was three injured in the clashes. The clashes broke out when a group of militants in unknown number launched an attack on an army checkpost in the Murghan area of east Kurram Agency, said the report, adding that the army fought back in retaliation with the help of gunship helicopters. The AP is reporting the death of a U.S. soldier while conducting military operations in an undisclosed location in central Iraq on Monday, November 14th. #1: A roadside bomb went off and wounded three people in central Baghdad, police said. #2: A sticky bomb attached to a car carrying a government employee wounded him in Baghdad's eastern district of Zayouna, police said. #3: A roadside bomb wounded one civilian in Baghdad's central Abu Nawas Street, an interior ministry source said. 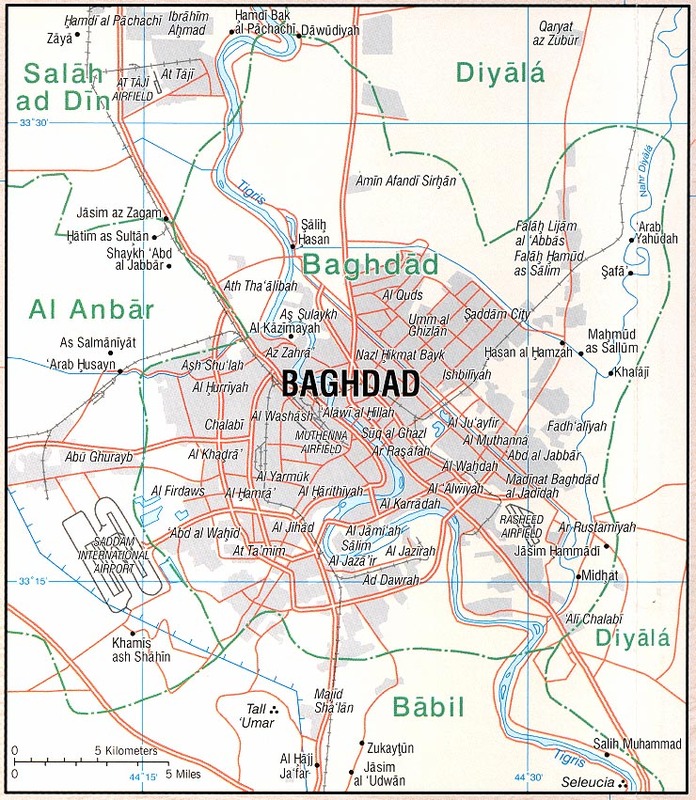 #4: A roadside bomb went off and wounded two civilians in Baghdad's southwestern Bayaa district, a police source said. #1: Gunmen in a car, using silenced weapons, shot and wounded Omar al-Dulaimi, the head of a journalists' association in Diyala province, in central Baquba, 65 km (40 miles) northeast of Baghdad, a source at the Diyala operations centre said. #1: Gunmen shot dead a man near his house on Sunday night in the town of Jbela, 65 km (40 miles) south of Baghdad, police said. #1: Seven rockets landed in or near the U.S. military's Kalsu base near Iskandariya, 40 km (25 miles) south of Baghdad, wounding two Iraqi civilians living near the base, a local police source said. U.S military officials confirmed an attack but said there were no reports of casualties or damage. #1: Gunmen opened fire and killed a doctor in his clinic in a village near Qaiyara, 290 km (180 miles) north of Baghdad, police said. #1: Police said they found the body of a man shot in the head and chest in western Mosul, 390 km (240 miles) north of Baghdad, police said. #2: A roadside bomb went off near a police patrol, killing one man and wounding three in western Mosul, police said. #1: A suspected U.S. drone fired missiles at a house in northwestern Pakistan near the Afghan border early Tuesday morning, killing seven alleged militants, Pakistani intelligence officials said. The strike occurred in Miran Shah, the main town in the North Waziristan tribal area, a key hub for Taliban and al-Qaida militants, said the officials, speaking on condition of anonymity because they were not authorized to talk to the media. #2: Officials in the ministry of affairs of Afghanistan following an statement on Tuesday said, at least five militants were killed and 12 others were injured following military operations by Afghan security forces during the past 24 hours. The statement further added, the militants were killed following Afghan and coalition forces operations in eastern Nangarhar province, Helmand and Kunar provinces. #3: In the meantime, officials in the ministry of defense of Afghanistan also announced that Afghan national army forces have launced an operation in eastern Paktia province to clear the militants from the area. The officials in the ministry of defense of Afghanistan further added, the military operation will last for five days, which will focus on various regions of eastern Paktia province. #4-5: Two soldiers based at Fort Wainwright were killed over the weekend by land mines in Afghanistan, the Army announced Monday. Spec. Calvin Matthew Pereda, 21, died Saturday in Kandahar province from injuries he suffered when an improvised explosive device went off while he and his unit were on a dismounted patrol. Two others in the unit were wounded. Sgt. 1st Class Johnathan B. McCain, 38, was killed Sunday while on a mounted patrol in the Kandahar province. A homemade explosive also injured six other soldiers in the unit, the Army said. #6: According to local authorities in southern Afghanistan, a tribal elder and two Taliban militants were killed following clashes in southern Helmand province. The officials further added, the incident took place in Garam Ser district of Helmand province. Provincial governor media office following an statement confirming the incident said, Haji Abdullah Khan a tribal elder was killed in Garam Ser district of southern Helmand province by the armed militants. #7: One policeman was killed and 17 civilians wounded when a bomb exploded on Tuesday in the Ganj Bazaar region in the Ghormach district of Faryab province, northern Afghanistan, the Interior Ministry said in a statement. #8: Pakistani soldiers backed by artillery clashed with Taliban militants in the northwestern Orakzai region on Tuesday, killing 28 militants and wounding 25, government and security officials said, part of an ongoing campaign. Orakzai is one of seven ethnic Pashtun tribal areas where the Pakistani army has tried to root out militants with offensives against their strongholds in the past years. There was no independent verification of the casualties and militants often dispute official figures. NATO is reporting the death of an ISAF soldier from an IED attack in an undisclosed location in southern Afghanistan on Saturday, November 12th. NATO is reporting the death of an ISAF soldier from an IED attack in an undisclosed location in southern Afghanistan on Sunday, November 13th. NATO is reporting the death of an ISAF soldier from an insurgent attack in an undisclosed location in eastern Afghanistan on Monday, November 14th. #1: A roadside bomb targeted a bus carrying Iranian pilgrims, killing one Iranian and wounding four others in Baghdad's northwestern Kadhimiya district, a police source said. #2: Gunmen on a motorcycle opened fire at an Iraqi army checkpoint, killing one soldier and wounding another in Baghdad's northern Adhamiya district, late on Saturday, police and hospital sources said. #3: "Two policemen have been injured in an attack by a group of unknown gunmen, who used silencer-fixed guns in their attack on a police patrol in west Iraq's Jami'a district on Monday" the Security Source told Aswat al-Iraq news agency, adding that the attackers have escaped to an unknown destination. #4: In another incident, "an explosive charge, planted on the roadside blew off close to western Baghdad's Baya'a Garage, wounding 3 civilians and causing severe damage to a number of vehicles, parked in the garage." #5: Four Iraqi civilians have been injured in an explosive charge blast east of Baghdad on Monday, a security source reported. "An explosive charge, planted on the roadside in one of a main road, leading to east Baghdad's al-Sadr city, has blown up early on Monday, wounding 4 civilians and causing damage to a number of vehicles, parked close to the venue of the blast," the security source told Aswat al-Iraq news agency. #6: Three terrorists, wearing explosive belts, have been killed while driving a booby-trapped car in west Baghdad on Monday, according to the Baghdad Operations Command (BOC). "Three terrorists, wearing explosive belts and driving a booby-trapped car close to a checkpoint in west Baghdad's al-Jami'a district, have been killed close to a checkpoint," the BOC statement was announced on the semi-official al-Iraqiya TV Satellite Channel on Monday. #1: Two roadside bombs went off near the car of an Electricity Ministry employee, killing him and wounding seven others, including four policemen, in Taji, 20 km (12 miles) north of Baghdad, police and hospital sources said. The second bomb went off when police rushed to the scene. #1: A roadside bomb targeted an Iraqi army patrol, killing one officer and wounding a soldier north of Tikrit, 150 km (95 miles) north of Baghdad, a source at the police operations centre in Salahuddin province said. #1: A cop was killed by unknown gunmen in Samarra city, security sources said here today. The source told Aswat al-Iraq that "unknown gunmen with pistols equipped with silencers attacked a group of cops west of Samarra that led to the killing one member of the patrol before fleeing to unknown destination. #1: A soldier was killed when a mortar shell landed at an Iraqi army checkpoint in northern Mosul, 390 km (240 miles) north of Baghdad, a local police source said. #2: A bomb attached to a car exploded, wounding a prison guard officer, in eastern Mosul, a local police source said. #3: Gunmen in a car shot dead a teenager in western Mosul, a local police source said. #1: Gunmen using silenced weapons shot dead a police lieutenant colonel near his house in central Falluja, 50 km (32 miles) west of Baghdad, late on Saturday, a local police source said. #1: A suspected suicide bomber was shot dead Monday near the site of Afghanistan's loya jirga or traditional meeting which will take place this week, officials said. "No one was killed but the bomber," said interior ministry spokesman Sediq Sediqqi. #2: According to local officials in southern Afghanistan, at least four Taliban militants including two Taliban fighters were killed following an operation in southern Zabul province early Monday morning. Provincial police chief for southern Zabul province Gen. Fazal Ahmad Shirzad confirming the report said, at least two Taliban commanders and two Taliban fighters were killed following an operation by NATO-led international forces in this province. The source further added, the operations were conducted by NATO-led International Security Assistance Force in Sewrai district of southern Zabul province based on intelligence reports. #3: Another mortar shell attack in Sipah area of the same region killed eight people including three children, and two injured. The first attack took place around 10.20 am in Sipah when a mortar shell was fired at a house. Both the two attacks occurred in Pakistan’s northwest tribal region bordering Afghanistan. #4: Shortly after, a blast was reported at the market in Teerah Valley. Eight local militiamen who were fighting against militants in the area were killed and seven other people were injured. No one has claimed responsibility for the two attacks. #5: Five Afghan civilians were killed and three more, including a woman, were injured when foreign forces conducted bombardment on a house in Daulatshah district in Laghman province where volunteers were busy in working on Sunday. The Laghman provincial shura deputy chairman Gulzar Sangarwal told the Afghan Islamic Press (AIP) one Sher Muhammad had gathered volunteers to repair roofs of his house in Chakla village of Daulatshah district today. He maintained the foreign forces conducted bombardment on them. "Owner of the house Sher Muhammad and four volunteer workers were killed and three more, including a woman, were injured in the blitz," he said. "They were clearly Afghan civilians. As deputy chairman of the Laghman provincial shura, I strongly condemnt this incident," he added. #6: A detainee at the Detention Facility in Parwan died early on Sunday, U.S. Central Command said in a statement. The detainee had been receiving medical care since he was captured on Oct. 25 during a combat operation in Kunar Province.